Case Study: Security & Monitoring｜Implementation Case Study｜SENSYN ROBOTICS, Inc.
A wide range of 24 hours security is now possible with linking and deploying multiple units of DRONEBOX when safeguarding factories, warehouses, harbors, and other assets. Intrusions of suspicious persons into facilities and abnormalities in traffic network can be quickly detected by combining thermal cameras and image recognition technology. 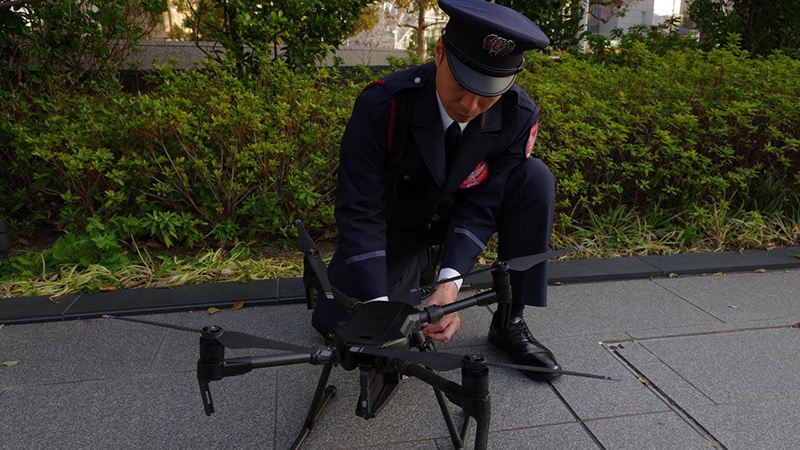 Implementation Case Study: Drone Total Solution in Godaitec Co., Ltd.